Biofeedback therapy is a method that can be used when you’re trying to understand how your body works. For instance, you can determine how your heart rate functions with it and how to improve it if need be. Biofeedback is often done to help you make necessary adjustments to your body to get the outcome that best suit you. It can be in the form of relaxing specific muscles to ease pain and boost physical performance or health condition. We can help you achieve any of these at Never Give Up Wellness Centre. What are the issues Biofeedback Therapy help resolve? Biofeedback is very beneficial to your well-being. Here are a few positive effects of BT out of many. Biofeedback may help reduce abdominal pain, low back pain and other pains as it teaches you the tightening of your muscles and how to release and relax them. Biofeedback can be beneficial to adults and children. The biofeedback therapy, when combined with medications, works significantly in the reduction of headaches. Headache is one of the most-researched importance of biofeedback because when you’ve muscle strain due to stress, headache becomes worse. Biofeedback reduces headaches when you relax your muscles. Another well known important use of this therapy is in relieving anxiety. With BT, you get to know more about your body’s response to stress and anxiousness. With this, you can master how to control these responses. It is also used to strengthen muscles in the pelvic floor that controls the emptying of the bladder in women. It also helps bed wetting children and People that have difficulty in regulating bowel movements to get better. When you engage in biofeedback therapy at Never Give Up Wellness Centre the way you should, bowel and urinary problems are entirely addressed without future recurrences. Biofeedback has been proven over the years to help resolve incontinence issues without side effect. Other known benefits of biofeedback are; epilepsy, constipation, asthma, rheumatoid arthritis, ADHD ( Attention Deficit Hyperactive Disorder), high BP, injury and COPD (Chronic Obstructive Pulmonary Disease). What role do I play to make my biofeedback session useful? When you book for treatment of any of the discussed ailments at Never Give Up Wellness Centre, through biofeedback, your therapist will help you develop new ways of performing better. Which is why at Never Give Up, biofeedback is considered a type of training and not a treatment. You need to be patient, follow up diligently and be active during the training sessions. How is biofeedback therapy done/ what does a biofeedback session looks like? During a biofeedback session, electrical sensors are connected to your body to send a signal to a monitor and get information about your skin temperature, sweating, blood pressure, muscle activity as well as breathing rate. At Never Give Up Wellness Centre, our biofeedback therapist will help you practice different relaxation exercises such as deep breathing, meditation, muscle tightening and relaxation, image concentration and how to use them in controlling different body functions. This will help improve your condition. Also, You will see the outcome of these exercises on the monitor and get feedback immediately. The session mostly lasts for thirty to sixty minutes depending on your condition and how fast you can control your physical responses. When the biofeedback therapy is successful for you, you can learn how it is done and do it at home. If you are on medications before engaging in a BT session and you wish to stop it, do well to consult your doctor. Do we have various types of biofeedback? Respiratory biofeedback- for this type of BT, your breathing pattern and respiratory rate are monitored by placing bands around your chest and abdomen. Heart rate- this type of Biofeedback measures your heart rate and how it varies through the use of ECG (electrocardiograph) which is used in connection to sensors that are placed in your wrists, chest or lower torso. Brain waves- with this type of BT, your brain waves are monitored through the scalp sensors using an electroencephalograph. Temperature- during this method, the flow of blood to your skin is measured through sensors that are attached to your fingers. When the reading is low due to stress, relaxation techniques will be introduced. Muscle Strain- the electrical activity that gives rise to muscle strain is monitored when sensors are placed over your skeletal muscles. Sweat gland- the measure of your skin’s perspiration and sweat glands activity is known when sensors are connected to your palms, fingers or wrists. 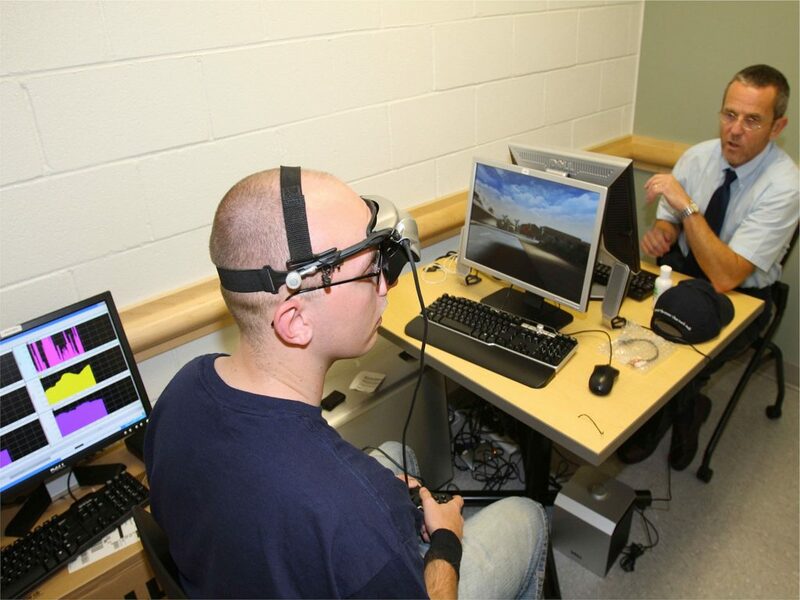 What devices are used in biofeedback? Never give up wellness centre provides you with the best treatment for biofeedback in Nevada, but there are a few devices that you can get for home use. Ensure you use the help of a professional to understand how these devices are used to achieve your aim. One of these BT devices is a headband that monitors the activity of your brain while meditating. When you wear this band, through sounds, you get to know when your mind is calm and when active. This will help you control how you respond to stress. You can store the outcome of each session on any storage device to know if there’s an improvement over time. Another one is the type that is worn on your waist to track your breathing pattern and monitor your breathing through an app. The app will help and guide your breathing activities. Another type of BT devices helps you know physiological changes like skin changes, heart rate activity when sensors are fixed to your ear or fingers and then plugged into your PC. These devices have been shown to improve responses effectively during stress thereby providing you with well-being and calmness. These devices also help in stress improvement, your breathing pace is monitored, muscles relaxed and you are taught to have positive thinking about what you can do. Why do you need biofeedback therapy? It does not intrude your thoughts and privacy. What risks are associated with BT? Although the various techniques of biofeedback are generally seen as safe, it is advised that you seek the counsel of your therapist or physician before you embark on the treatment. The fact that it’s safe doesn’t mean that it is the right approach for everyone as there may be better options for your condition. You should also take into cognisance the cost of BT training and devices you might be needing and ensure it is being carried out by a professional therapist. Lastly, consider the risks and convenience associated with BT before making your last decision. How do I find and recognise a qualified biofeedback provider? Are you looking for the right and qualified biofeedback therapist with vast experience in treating your condition? Contact us now at Never Give Up Wellness Centre as our BT practitioners are experienced and licensed with immense knowledge in providing biofeedback therapy. The featured image is downloaded from here. This image file is licensed under the Creative Commons Attribution 2.0 Generic license.